DSC_0005.JPG, originally uploaded by michael_jecks. And here it is. This morning’s proof that winter is genuinely here. 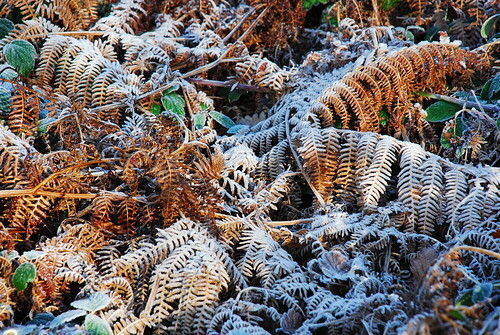 Frost all over the bracken. And my central heating’s ON! This entry was posted on Tuesday, November 25th, 2008 at 2:56 pm	and is filed under Dartmoor. You can follow any responses to this entry through the RSS 2.0 feed. Both comments and pings are currently closed.